Home » Integrated Urban Development » Plan your own temporary use journey! Who can still remember vacant spaces and buildings, which someday were spaces free of rules, a ground for fertile experimentation, individual empowerment and creativity development? We could grow and empower ourselves as we can remember from the 50s’ film “Le chantier des gosses”, where children were spending their leisure time in an yet-to-be-built abandoned lot in the very centre of the city of Brussels, and where the nephew of Tati’s “My Uncle” was eating doughnuts and whistling at pedestrians so that they would bump into a lamppost. 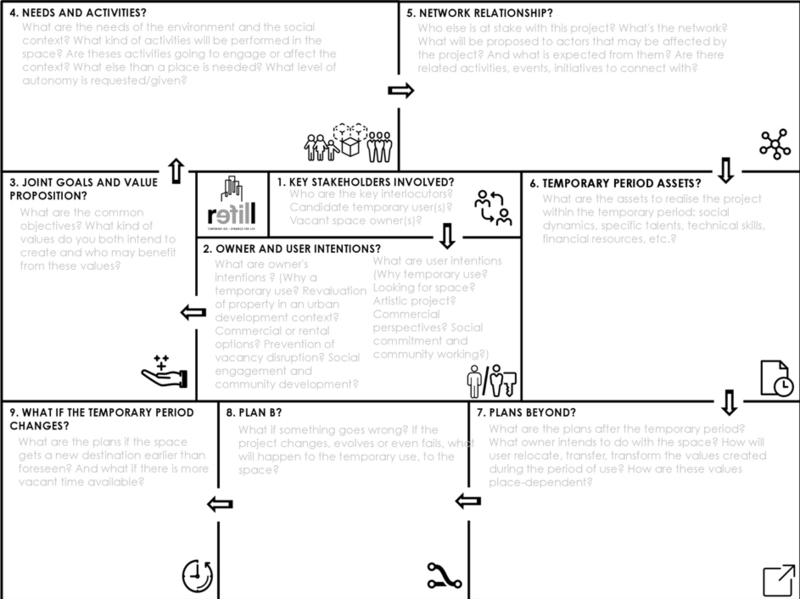 During two and a half years, the URBACT REFILL network sought to identify ways to access Temporary Use, notwithstanding the municipalities’ stage of implementation of Temporary Use projects. These ways are compiled in the REFILL Temporary Use Roadmap. “There are many entries to the Temporary Use of vacant spaces and buildings. These are not linear, depending on each of the cities’ point of departure but also interests and needs.” explain François Jégou and Marcelline Bonneau, Lead experts of the REFILL network. I invite you to take a tour in the five neighbourhoods of the City of Temporary Use while looking into some flagship initiatives. How can you work on Temporary Use if you do not know what Temporary Use is about? If you do not know the way it looks? If you do not know what benefits it can have for the City? Many of the municipalities which seek to promote Temporary Use have noticed the difficulty to communicate on it: to first make it simple, understandable, but then convincing to the different stakeholders which could potentially be engaged. The URBACT REFILL network therefore co-created a user-friendly video, freely accessible online: “Temporary Use for Dummies”. In 4 minutes, it gives an overview on origins, assets and possible frameworks for the development of Temporary Use in your cities. The approach of the city of Athens (EL) was to make Temporary Use visible, accessible and an easy way of reinforcing local cohesion. For this purpose, it has used a small kiosk, Synathina, in front of the Central Market, a highly symbolic and visible spot, to host activities and events. The system is straightforward: interested citizens book beforehand and pick up the keys from the nearby Municipal Office. This approach is relatively low-risk, and also low in terms of resources needed from the municipality. It has appeared to be a highly valorizing way of promoting citizens’ initiatives in a place that is central with the square around it make it a beloved place for such gatherings. How can you identify what Temporary Use is possible in your city? Who are the stakeholders involved? How can you bring them together? It can indeed be crucial to assess the Temporary Use potential of your city as a whole by mapping vacant spaces, outlining the scope, space requirements, level of autonomy and added value of each initiative and determining the state of the vacant spaces. In Ostrava (CZ), the Municipality conducted a qualitative study to test whether Temporary Use could be a solution for empty buildings and vacant plots. It surveyed owners and users of Temporary Use projects and used the results as evidence for decision makers within the administration. Through the research, the Municipality also gained visibility of its activities and interest in Temporary Use, and made the exchange of views between stakeholders possible… A tool developed within the network, the matchmaking methodology enabled Municipalities to bring together those who have a space with those in need for one and vice-versa: it meant going beyond the traditional silos of administration, ensuring that each partner gets to know each other. How can you ensure that the opportunities of Temporary Use are integrated in urban planning, but also in other local strategies? How can you bridge the gap between the rigid legal framework and Temporary Use’s flexibility? How can you spark interest on Temporary Use in your city? Cities are seeking to support Temporary Use by setting common objectives and creating step-by-step plans for city development, economic activities and social goals. They try and find ways to work within the legal framework, while also allowing for flexibility. They liaise with elected representatives, city administration legislators and powerful external stakeholders to discuss how Temporary Use could help them solve their problem. In Ghent (BE) the Temporary Use Fund has been used as a financial incentive for new ideas and initiatives related to Temporary Use since 2014. Via a simple call for projects, the Fund distributes 300,000 EUR annually, to be used on infrastructure, safety measures and soundproofing, insurance, maintenance and in some cases communication. Such strategy has supported the burst of smaller, bottom-up Temporary Use projects in the neighbourhoods of Ghent. How can both the owner and user kick-off their project? How can you think about the potential evolution of your project? 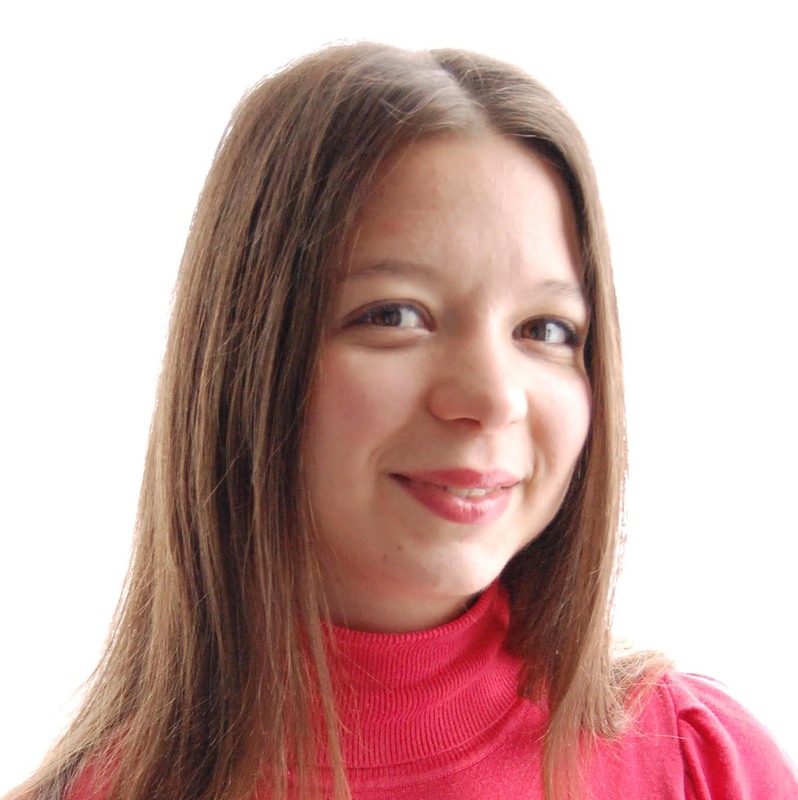 How can you ensure a clear mutual understanding of the terms and conditions? During the URBACT REFILL network, it became clear to the partner cities that they needed to clarify upfront their collaboration when promoting Temporary Use of vacant spaces. One such need led to the creation of a Temporary Use Value Creation Plan: an informal contract and adaptation of the Business Model Canvas which asks crucial questions, for the owner and user in terms of objectives, values, benefits, plans, etc. In order to address the needs of their stakeholders, the City of Poznan (PL) compiled a toolbox that is available both online and offline. It covers practical tips, successful mediation solutions and social agreements, a list of useful local contacts and recommendations for Temporary Use agreements. How can you ensure that everything runs smoothly from A to Z? How can you make Temporary Use a standard service? Cities have developed a series of actions to keep in touch as long as the Temporary Use project is up and running, to make sure that the project takes an integrated social, environmental and economic approach, and to analyse stakeholders’ feedback as well as to support the transfer of assets and the relocation of the initiative. Others have organized technical, administrative, financial and connector services and any others as needed. In order to ensure a constant follow-up of the project, the city of Bremen (DE) set up an agency for Temporary Use: the ZZZ (ZwischenZeitZentrale Bremen). The agency, managed by a private company, supports, initiates and oversees Temporary Use projects all over Bremen: it plays a mediator role between owners and tenants on the one hand, and the administration on the other. Here are only a few of the examples and cases from the URBACT REFILL Network. Temporary Use questions the way cities are governed and the role city administration can play in meditating between the different stakeholders. 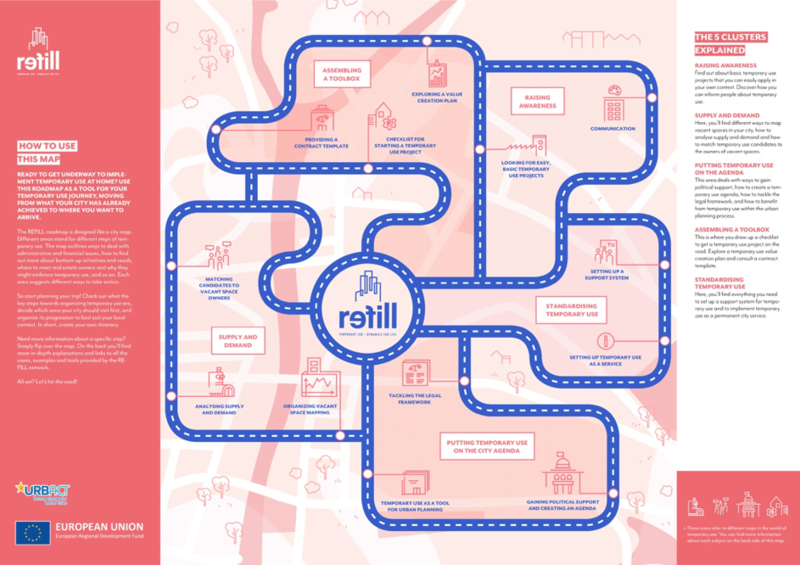 The REFILL project had the opportunity to present its roadmap during the URBACT City Festival in Lisbon in September 2018. It appeared clearly that many of the issues faced by the participants had their solutions in some of the work carried out by the network during two and a half years. 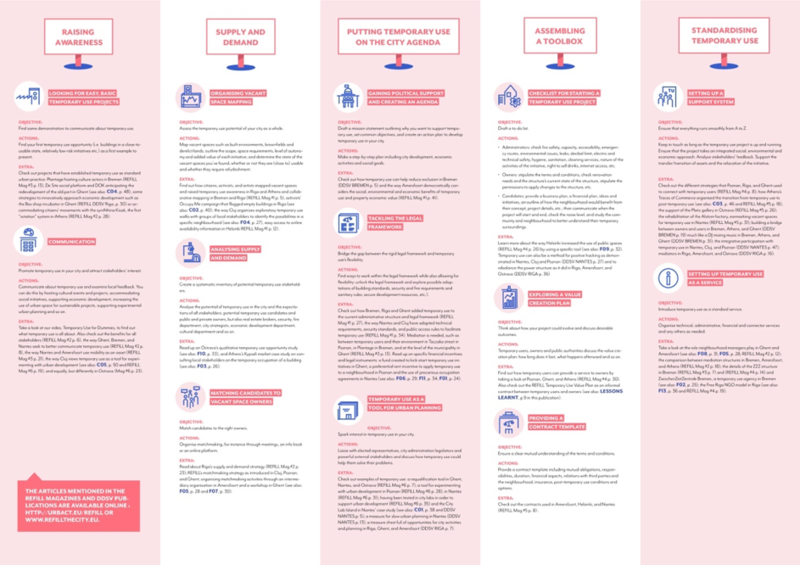 Check out the back of the REFILL Temporary Use Roadmap and identify the further information, resources and contacts that might be useful for your own journey towards Temporary Use! European cities have evolved, we see less and less of these places yet to be transformed into modernized neighbourhoods of the city. However, new types of vacant spaces have emerged: these are buildings which have been abandoned as they do not fit with the evolving needs of companies and working practices, these are brownfields where heavy industries left deeply rooted pollution which makes impossible commercialization of these lands, these are leftovers from strong industrial pasts of some regions – in the form of buildings or abandoned lands, former docks, … All of these give a new face to European cities and create a potential for redynamisation through the realm of temporary activities which can take place on them. However, taking them into consideration in city governance is still recent, inexistent in some cities. Municipalities are yet to develop structures and frameworks which can enable taking advantage of their potential at most. As has been observed in many cities, such initiatives are strongly led by citizens and creative entrepreneurs. Society is changing, cities as well. Citizens are asking for greater involvement in city development. They are taking an increasingly important role in city governance, what questions the way cities are currently being governed. Temporary Use of vacant places can be an entry point into a transitional organizational shift of governance, giving increasing room for manoeuvre to citizens.